The number of mobile device usage scenarios is growing, and more and more people are using them not only for entertainment and content consumption, but also for paying for merchandise, services, and solving a variety of work-related tasks. I have collected interesting statistical data on mobile applications for you. While reading it, you will learn about some peculiarities of using smartphones and many other facts that will be interesting and useful for you. If you work in this area, this information will definitely come in handy for you in 2019. 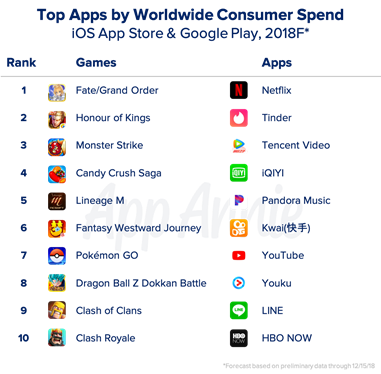 In the third quarter of 2018, the total number of mobile applications in the App Store and Google Play reached 4.1 billion. The competition is getting frantic, but the market continues to grow (Statista.com). 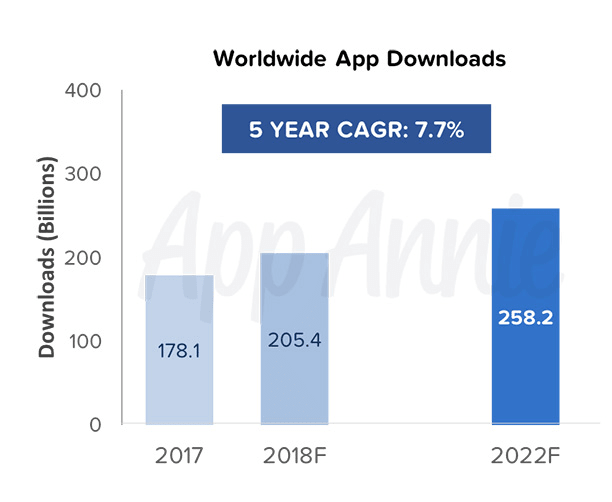 The number of downloads is increasing as well, largely due to the growing Asian markets and markets in other developing countries (App Annie). 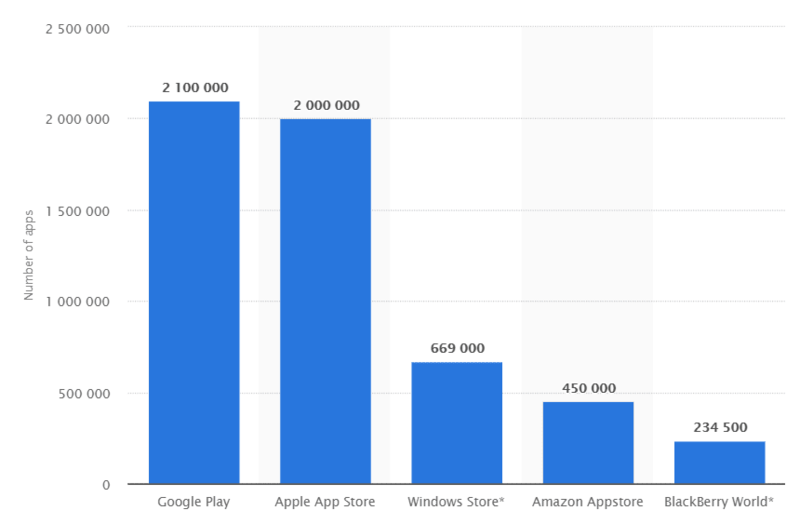 Early in 2019, the share of Android apps was 75.16%, iOS – 21.98% (Statcounter). 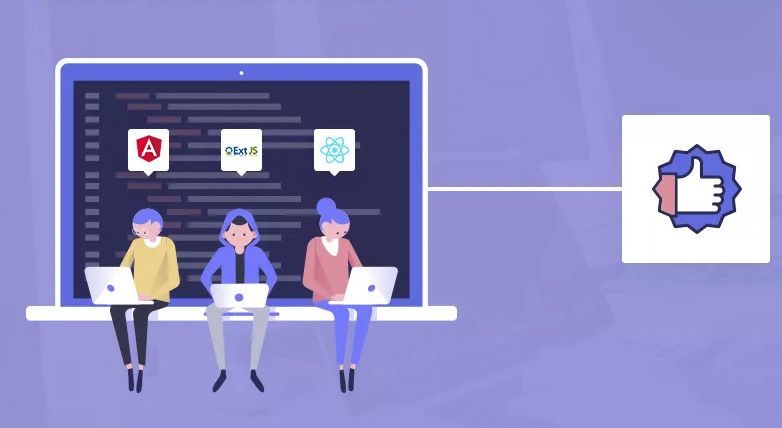 Security remains the most important challenge for developers, but more than 50% of customers are not ready to add any budget to solve data protection issues (Gartner). 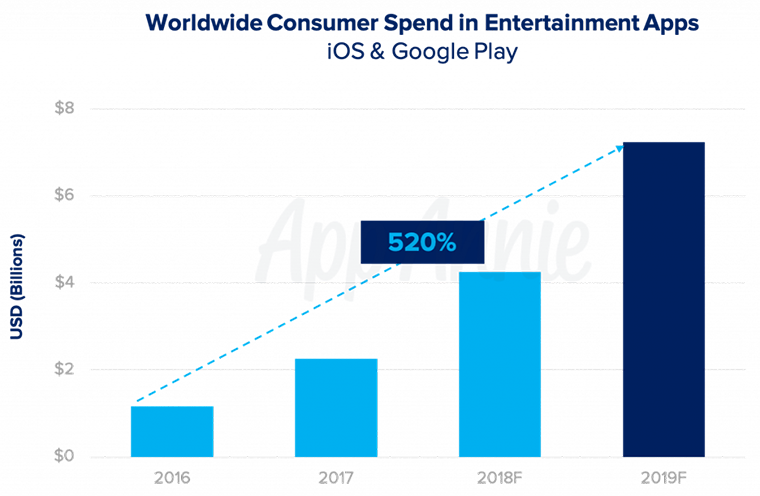 In 2018, the Apple App Store and Google Play recorded 113 billion downloads of games and apps worth $76 billion, which is respectively 10% and 20% more than the previous year (App Annie). Facebook software products gained the lead among non-gaming apps by the number of installations. 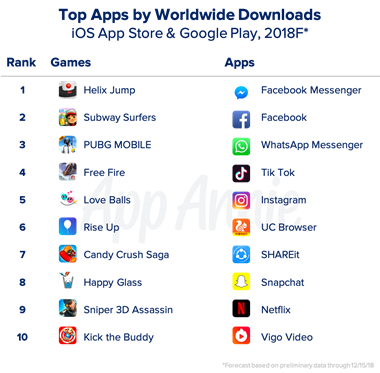 According to analysts, the game Fortnite Battle Royale was among the most successful mobile apps in 2018. It was released in March and brought its developers more than 15 million dollars in less than a month, though it was available only for iOS at that time. 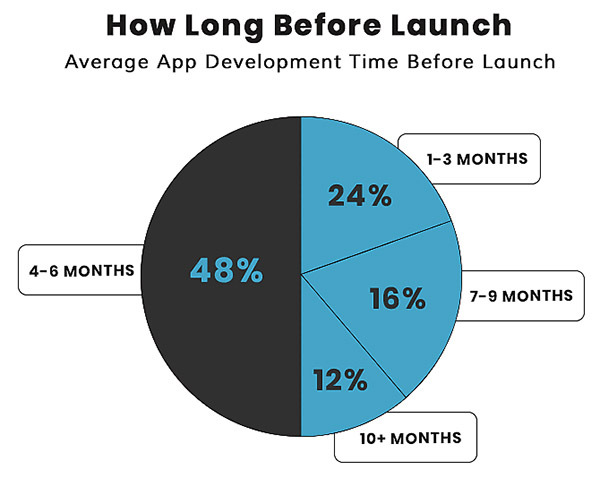 About 48% of mobile apps take 4 to 6 months of development time (MobileAppDaily). 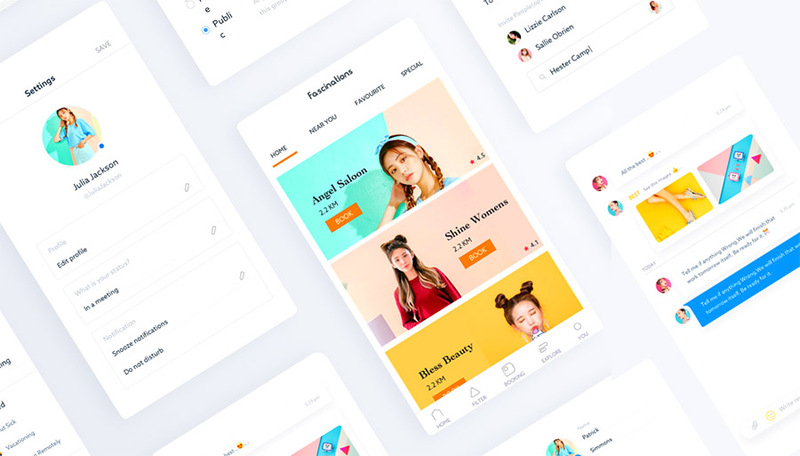 According to App Annie’s forecast, advert views by users will become the main monetization strategy for more than 60% of all mobile apps in 2019. 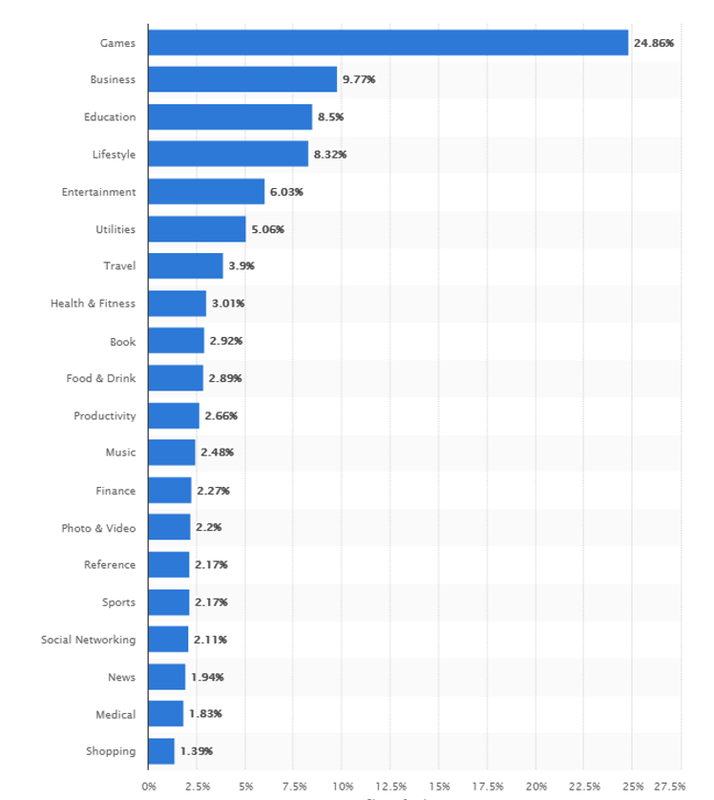 Technology companies from China created half of the top 10 mobile apps, which generated the majority of the income for the App Store (Business Insider). It is expected that the total amount of payments made using mobile devices will reach $503 billion by 2020 (BI Intelligence). Approximately 4 out of 5 Americans currently shop online. At the same time, more than half of them pay for purchases using their smartphone (Pewinternet). During 2019, the number of users who use mobile payments to pay for purchases in US stores will reach 150 million people. This is more than 50% of the country’s total population (Mobile Payments World). By 2020, customers will use mobile wallets more often than bank cards to pay for merchandise and services (WorldPay). 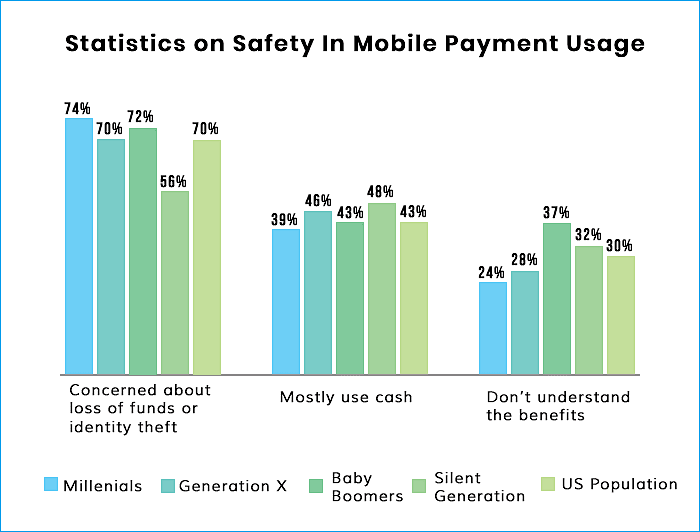 Security is the number one problem for those who want to make widespread mobile payments (Pewtrusts). Among European countries, the UK is the leader in mobile payments – 74% of the population uses mobile devices to make payments and manage finances (Mobile Payments World). According to Visa, Europeans aged 55 to 64 use mobile banking most willingly. For the entire world, Asian countries are leading in mobile payments, being ahead of the other parts of the world by a large margin. During the 2018 holiday shopping period (from Nov. 1 to Dec. 19), the volume of mobile transactions hit a new record, reaching more than $33 billion. Compared to last year, the number of transactions increased by 57% (Adobe Digital Insights). 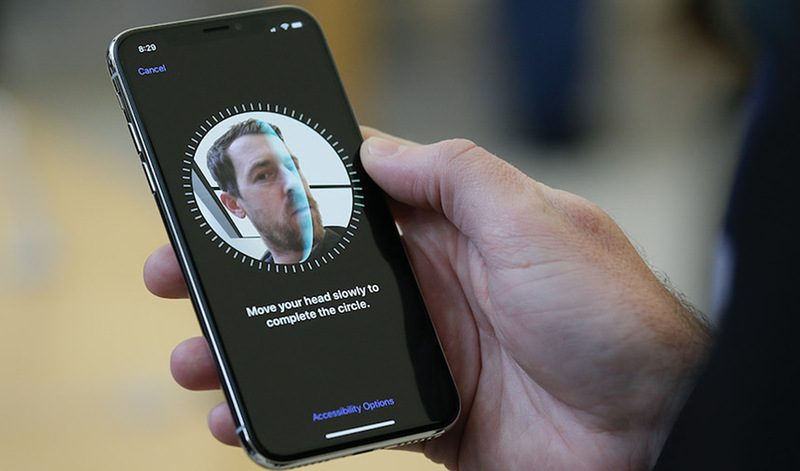 While inside a physical store, 80% of buyers used their smartphones to search for feedback on the product they were interested in or to compare prices from different sellers. More than 1.2 billion people in the world access the Internet from their smartphones. This number has increased over the past 6 years by 42%. To compare, it took almost 45 years for landline phones to reach the same distribution rate (Mobify.com). In 2019, 1/6 of the total media content consumed by users will consist of online videos viewed on mobile device screens (App Annie). The average smartphone user currently spends about three hours per day interacting with mobile apps, and that is 10% more than a year before, and 20% more than in 2016. Uber is available in 65 countries and in over 600 cities around the world. People make more than 15 million trips every day using this service, and their total number exceeded 5 billion over the entire time (Business of Apps). Facebook users log in this social network, using a website or a mobile app, 8 times during the day on average (Smart Insights). Communication, surfing web pages, listening to music and watching videos are among the most common scenarios for using a smartphone for Chinese mobile users. According to a comScore report, users spend 69% of their time on average using their smartphones when consuming media. 61% of mobile users claim that they often make purchases on mobile websites and on apps that personalize data according to their location and preferences, say, based on browsing or shopping history (Thinkwithgoogle). 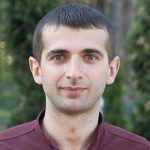 Regardless of what you are – a mobile app developer or a customer who uses a product to solve certain business issues – this statistical data will definitely be useful for you. Under these circumstances, the main conclusion to make is that it is crucial for any business to take advantage of mobile market to ensure growth and expansion.